Did you ever watch the show Community? It’s about a group of lovably weird community college students who join a study group that changes their lives. That’s right – they create the group to study for Spanish class, but end up staying together, becoming the best of buds, and having some very strange and hilarious adventures! I’m not saying that when you join a study group, you will find your new best friends. (Although you might!) But I am saying that you can review content, improve your own understanding, and get moral support. Study groups can be SOO helpful. Until they aren’t. Many of us have a study group horror story (or just a nightmare) about a group that doesn’t have its stuff together, group members who never show, or sessions that devolve into gossip. None of that is fun or helpful. 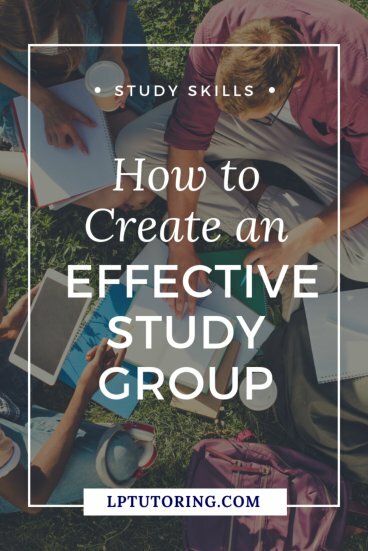 So, let me show you the steps to put in place to create an effective study group! To have a group, you clearly need more than 2 people. But beware the big study group. Mo’ people = mo’ problems. It’s harder to schedule sessions, keep others accountable, and stay on task. Three to five members seems to be the sweet spot. Group members also need to be committed. If you have 4 people in your group, but 2 come only every once in a while, that’s a problem. If a group member isn’t showing up or isn’t prepared on a regular basis, it might be time to ask that person to shape up or leave. Everyone needs to commit to meeting at the same time and place on a regular basis. Maybe you meet at the library every Saturday at 10. Or every other Wednesday at Sean’s at 6 PM. You can even meet online using Google Hangouts or Zoom. Just keep it consistent. At your first meeting, nail down a schedule. Wait for EACH person to add it to their planner, calendar, or phone. Heck, create a shared Google calendar or even set up and send reminders. Remember that reviewing course content is always the group’s #1 priority. Pick a topic for each session for at least the first month. That way, everyone knows what to prepare for and what will be discussed at each session. These topics aren’t written in stone and can always be adjusted later. Having an assigned topic allows the group to dive right into content when the session starts. 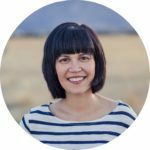 Assign one person to lead each session. That person commits to writing an agenda, possibly creating review material, and keeping everyone on task. This last job is one of the most important. While chatter about the dance last week or your professors’ accessories (yes, I’ve had that conversation multiple times!) is fun, it’s not productive. The leader needs to stop the talking and bring everyone back to content. I recommend rotating the leader role among the group members on a regular basis. Perhaps even assign the role when you create the schedule or assign topics. You need to keep the lines of communication open. If someone needs to change the schedule, they need to easily get hold of everyone else. Also, if a group member creates an awesome review, they should share it with the group. As a group, choose ONE main way to communicate and stick to it. Some easy group options – text, FB messenger chat, FB group, e-mail, or Snapchat. Create a shared document that has everyone’s contact info in it – cell phone number, e-mail address, physical address if needed, etc. 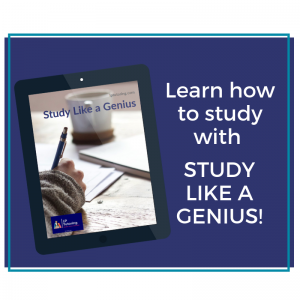 Create a central spot to keep shared documents – the schedule, leader assignments, review materials, etc. I HIGHLY recommend creating a shared Google Drive folder. If you create a review slideshow or game, throw the slideshow or link in the shared folder. To keep the shared folder organized, create a sub-folder for each review session or unit you are discussing. Study groups full of Negative Nancies are a nightmare. You may already be fighting your own negative feelings about the course – you certainly don’t need to hear it from others! Steer the group’s conversation towards progress, what is going right, etc. Try to end each session on a positive note – have each person say what they feel good about, better about, or what they learned during the study session. 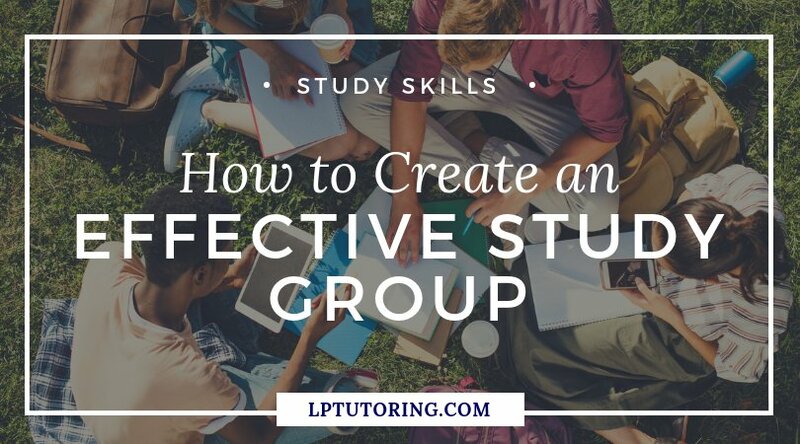 Even if you don’t meet your new BFFs in your study group, these tips will make sure that you do get a better grade in your class! If now you’re ready for some awesome activities, I’ve got those, too! How do you keep your study group humming along? Let me know in the comments below!